Liu Qingsheng, member of the Standing Committee of the Shenzhen Municipal Committee and Executive Deputy Mayor, Zeng Yuexiong, member of the Party Committee and Deputy Director of the Shenzhen Communications and Transportation Commission, Huang Shengwen, member of the Party Committee of the Shenzhen Communications and Transportation Commission, and head of the administrative law enforcement detachment, and Xu Wei, director of the Traffic Police Bureau of the Shenzhen Public Security Bureau. Zhong Xiangping, Vice President of Tencent, Shen Dan, Deputy Secretary of the Party Committee of Tencent Corporation, General Manager of the Public Policy Department; Su Kuifeng, Principal of the Autopilot Lab of Tencent; Zhang Xiaochun, Chairman of Shenzhen Urban Transport Planning and Design Research Center, and other leaders attended the awarding ceremony. signing ceremony. Acquiring the road test license of the intelligent network unit means that Tencent has moved from the technical level to the application level in the field of automatic driving. 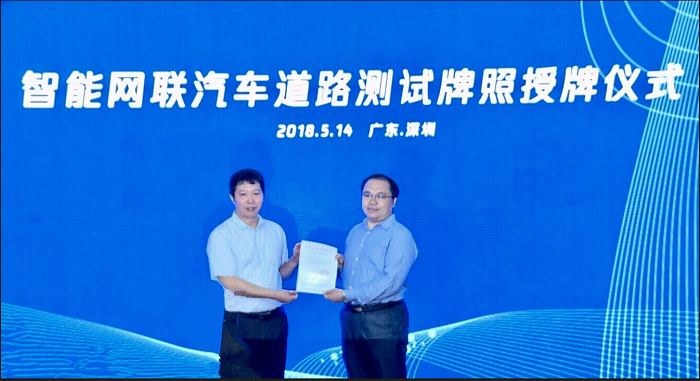 Huang Shengwen, member of the Party Committee of the Municipal Communications Committee and the deputy chief of the Municipal Traffic Administrative Law Enforcement Detachment, issued the “Intelligent Network Vehicle Road Test Notice” to Su Kuifeng, the person in charge of the Tencent Auto Drive Laboratory. Su Kuifeng, the head of Tencent’s automated driving laboratory, said that Tencent has obtained the smart network-linked road test license, which reflects Shenzhen’s traffic authority's recognition of Tencent’s smart network technology. The development of autonomous driving technology is an important part of Tencent’s smart travel strategy. Tencent also continues to uphold the concept of openness and win-win, helping China’s intelligent network-linked vehicles to develop rapidly. This time, Tencent obtained the road test qualifications through strict examination by the Shenzhen Communications Commission, and also benefited from Tencent’s technology accumulation in the field of automated driving. Su Kuifeng said that the artificial intelligence algorithm of Tencent’s automatic driving laboratory is a high-precision map. The four core modules of the data platform and the simulation system support each other and build a stable and reliable automatic driving system. Currently, the International Association of Automotive Engineers (SAE) divides autopilot into six levels (from L0 to L5). The L3 level is that the unmanned system can complete all driving operations and requires human intervention only in a few emergency situations. Su Kuifeng said, “The year 2018 is the first year of Tencent’s product launch. We will focus on promoting the landing of L3 products and provide scene data support for L4 and L5.” In the field of automatic driving, Tencent has identified it as “complete in the autopilot system. 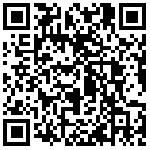 Software and Service Provider" provides the most effective digital interface and toolbox by constructing an ecological chain of self-driving, doing a good job of "connectors and spare parts". In the field of smart travel, Tencent’s vehicle alliance has reached strategic cooperation with many domestic auto companies to help the development of intelligent network-linked vehicles, and Tencent location service was also used by the United National Development and Reform Commission's comprehensive transport station last year to improve the operational efficiency of the traffic control department through traffic big data. . The issuance of intelligent network joint road test licenses is an important jigsaw puzzle to make up for Tencent’s smart travel. Tencent’s automatic driving will also link Tencent’s vehicle alliances, Tencent’s location services and other advantageous resources, and intensify cooperation with partners to jointly create an open platform for the industry and do a good job supporting the development of intelligent networked auto industry. 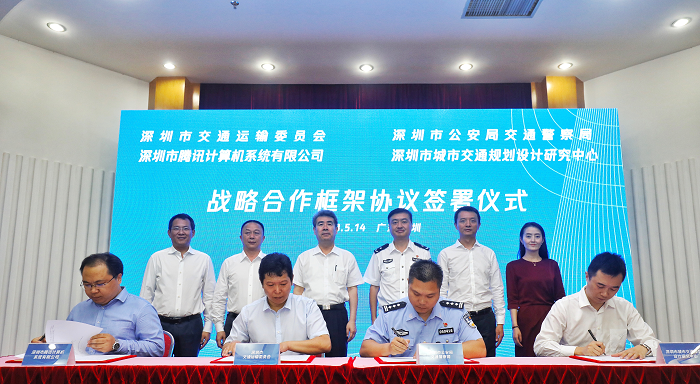 Tencent has signed strategic cooperation framework agreements with the Shenzhen Transportation Commission, the Shenzhen Public Security Bureau Traffic Police Bureau, and the Shenzhen Urban Transport Planning and Design Center Co., Ltd. The four parties will promote integrated traffic big data, autonomous driving, and public travel. Information services and other aspects launched a comprehensive strategic cooperation to jointly promote the construction of smart transportation in Shenzhen. Shenzhen Party Committee Standing Committee, Executive Deputy Mayor Liu Qing Zeng Yuexiong, member of the Party Committee and Deputy Director of the Shenzhen Transportation Commission, Huang Shengwen, member of the Party Committee of the Shenzhen Municipal Transport and Transportation Commission, and head of the Administrative Law Enforcement Detachment, Xu Wei, Director of the Traffic Police Bureau of Shenzhen Public Security Bureau, Tencent Zhong Xiangping, Vice President of the company, Shen Dan, deputy secretary of the Party Committee of Tencent Corporation, General Manager of the Public Policy Department, Su Kuifeng, head of the Automated Driving Laboratory of Tencent Corporation, and Zhang Xiaochun, Chairman of the Shenzhen Urban Transport Planning and Design Research Center attended the award and signing ceremony. ceremony. At the signing ceremony, Zhongxiang Ping, vice president of Tencent, stated that Tencent will leverage its advantages in big data, artificial intelligence, network security, and cloud platforms to work together with partners to create an ecosystem of autonomous driving and smart transportation industries to jointly provide citizens with More convenient travel experience and services, creating a more secure and safe digital urban transportation system.